We're proud to support a number of important charities, and these are the organisations we're happy to say we've been able to offer a helping hand to - $5, 000 000* worth of support in 2018! Providing essential support to children and young people (0 - 24 years) with cancer, and the family and support network who care for them. We feel exceptionally fortunate to be able to support these incredible charities and help them to invest into their communities, and help to change people's lives. Here are a few more charities we have been fortunate enough to support. Treating and preventing child abuse and neglect. Not-for-profit cleaning company supporting free community services offered in Brisbane through ARMIA House. Dedicated to improving the quality of life or people with epilepsy and their carers & families through advocacy, research, support and information. 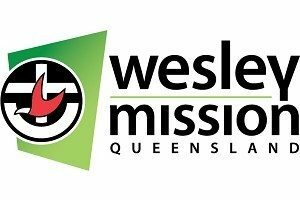 Supporting Queenslanders affected by Cyclone Debbie. Providing freedom, independence and mobility for people with vision impairment. Queensland's only children's hospice, providing short break stays, family wellbeing services, creative therapies and care at the end of life for children with life-limiting conditions and their families. All for one, one for all. #Makingcharitycool to empower students to eradicate bullying, especially against children with special needs. Australia's peak body for blood cancer, funding research and providing free services to support people with leukaemia, lymphoma, myeloma and related blood disorders. Supporting 130 Lifeline shops across Queensland that raise funds for counselling and support services. Staying at the forefront of healthcare, education and research, both in Australia and across the world. Nourishing, caring and strengthening communities. Established in 1998 by Women in Super, the Mother’s Day Classic is an annual fun run & walk raising funds and awareness for breast cancer research. An independent charity that helps families of seriously ill children. We help keep families together and close to the care their child needs. Queensland’s oldest, largest and leading animal welfare charity, dedicated to improving the lives of all domestic, farmed and native animals throughout Queensland. Do all the good you can, by all them means you can, in all the ways you can, in all the places you can, at all the times you can, to all the people you can, as long as you ever can.